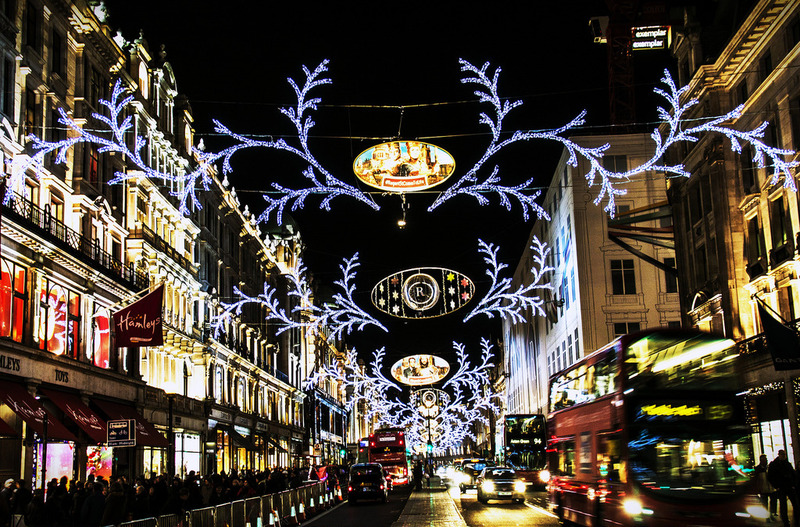 The lights are on and the shop windows are glowing: Regent Street at Christmas time is one of London’s most beautiful, bustling sights. There’s something so nostalgic about bundling up in hats, coats, gloves and scarves to shop for your loved ones. 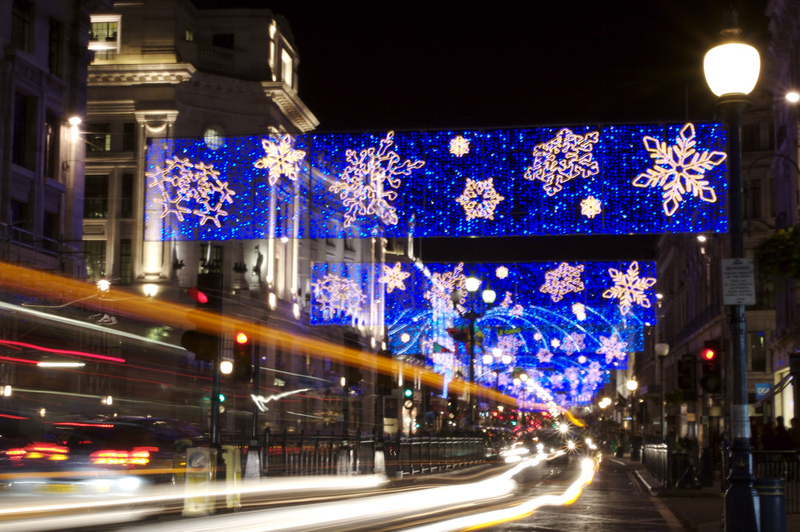 From a post-purchasing tipple to a comforting dinner, we have found some hidden gems along this magical road of sparkling splendour that are sure to compliment your Christmassy mood. East India Company may just be one of the most beautifully decorated shops in London. As soon as you step into its flagship store on Regent Street you are immediately transported to a different place and the warmth of the shop means that you never want to leave. The mystical floating golden globe ships that grace the windows and are dotted around the room emphasise the company’s history, something that we learnt about on our visit. In 1600 the company, a group of pioneers, was granted a Royal Charter by Queen Elizabeth in order to explore the world, particularly the then-uncharted East. The sense of adventure that founded the company can be felt within the cosy store, where decoration and product intertwine seamlessly. Chocolate, coffee, teas, biscuits and more are found within leather suitcases, on top of old cargo barrels and amidst old, candid photographs of the company’s voyages. The addition of twinkling Christmas trees, wrapped presents and shining baubles make this shop the perfect bundle of festive spirit! East India Company is, in our eyes, amongst those such as Fortnum and Mason or Harrods in providing beautifully gifted, special treats and original stocking fillers that are sure to leave your taste buds feeling very merry this Christmas. Each tea is personally selected by the company’s Tea Master and the time between the picking of the tea leaves and the selling of the product in-store is only an incredible 28-30 days! Pro Tip: both the Festive Black Tea and Festive White Teas will win your heart. For a dinner party we recommend the Cheddar Cheese biscuits to have with drinks, the Lime Pickle Chutney to have with the cheese course and the Cherry, Chocolate Chip and Chilli biscuits for afters. Gordon Ramsay’s Heddon Street Kitchen is the perfect snug, chic hideaway from Regent Street’s hustle and bustle. The winter cold is immediately forgotten upon stepping into the warm, buzzing restaurant and the staff match the welcoming décor perfectly. The restaurant manages to be comfortable and homely without being stuffy; it has an airy openness that is enhanced by its exposed pipes and sleek wooden furniture. At the cosy bar on the first floor, an elegant room with white-tiled walls, big mismatched hanging bulbs and a great soundtrack, we were lucky enough to be the first people to try this year’s range of Christmas cocktails. They were a bundle of the most festive, delicious, nostalgic yet original flavours that anyone could imagine! These were accompanied by some unexpected canapés including the amazingly soft spicy tuna tartar on wonton crisps with crème fraiche, and scampi with tartar sauce. Pro Tip: Make sure you try their Hot Buttered Rum and the Christmas Pudding Hard Shake! Beautiful inside and out, these cocktails pack huge festive flavours that really do make you feel warm inside, and only partly due to their strength! 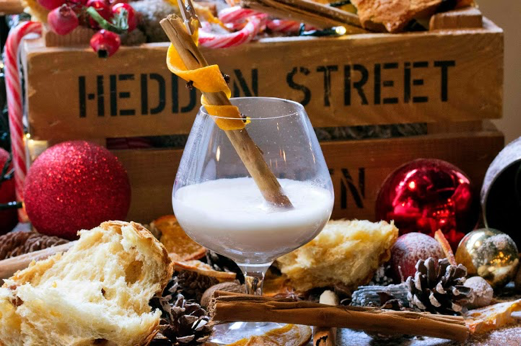 If the shopping bags are weighing you down and you’re starting to catch a chill, the Heddon Street Kitchen’s Christmas cocktails can truly fix you up this season. If you’d rather make a meal of it, we can’t think of anywhere better to go for evening entertainment than Brasserie Zédel. This French-themed establishment contains a brasserie, bar, café and cabaret all in one, offering numerous different ways to spend an evening in style. As soon as you enter the building you feel that you have been transported to the centre of Paris, helped by the gorgeously opulent Beaux Arts interior. Stunning is an understatement; this huge restaurant boasts towering marble pillars that surround the dining area, an ornate clock reminiscent of something from the Titanic stands at the back of the restaurant and every surface shines or glitters. The wait staff are exceedingly friendly, adding to the atmosphere, and it’s comforting to know that they have an entirely separate vegetarian menu. If you’re lucky, the live band will be playing during your meal: the height of sophisticated dining. Pro Tip: Save room with the beautifully soft, light starter of the Quiche de Chèvre aux Oignons and indulge in either the pear and salted caramel slice or the warming bread pudding with creamy prune ice cream for dessert. Tucked away opposite the Brasserie is the charming Crazy Coqs Cabaret venue. The room is circular, formed around little tables, creating an intimate atmosphere and there is a well-stocked bar along one side of the room offering drinks for the performance. The wait staff are professional and efficient, bringing drinks to your table and also a complimentary bowl of spicy popcorn to snack on during the show. The drinks options include wine, champagne, or classy cocktails and there are also small dishes for particularly hungry guests- such as fried chicken, mini beef bagels, fries and olives. The Crazy Coqs has played host to a wide range of acts in its time and is always a busy venue. It offers late-night jazz and swing nights, open mic nights and classic cabaret. Pro Tip: try to catch Steve Ross when he’s in town, a cabaret singer all the way from New York. Moving seamlessly from sentimental love ballad to witty, dry, humorous songs, Steve effortlessly holds the audience in the palm of his hand for the entire show, which lasts an hour and a half.